Wed like the think that we treat our dead with the utmost dignity and that our contemporary Western funeral traditions provide all the comfort and closure the deads loved ones deserve. In her new book, best-selling author and licensed undertaker Caitlin Doughty urges us to think again. 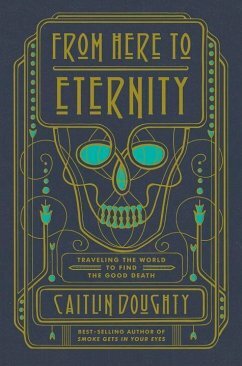 A clever follow-up to Doughtys debut (which explored death and dying in America through her experiences as a young crematorium assistant), From Here to Eternity takes her search for the good death to the far corners of the globe. Doughty investigates the ways in which other cultures may be fostering more dignified, meaningful funeral customs than our own: in rural Indonesia, where mummified relatives live in the family home for years before burial; Bolivia, where the skulls of the dead are crime-solvers and relationship counsellors; to Japan, where bodies can spend their last days in their very own corpse hotel. With a beguiling mix of gallows humour and wit, Doughty challenges notions of what really constitutes a good approach to death, mounting a compelling case to reconsider our cultural relationship to our dead. 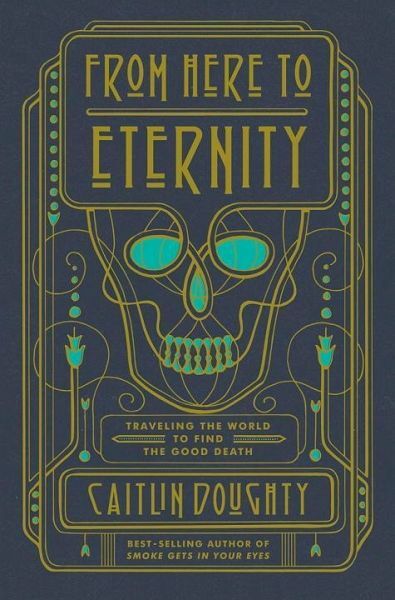 Mortician Caitlin Doughty is a licensed mortician and the New York Times best-selling author of Smoke Gets in Your Eyes and From Here to Eternity. She is the creator of the "Ask a Mortician" web series and founder of The Order of the Good Death. She lives in Los Angeles, where she runs her nonprofit funeral home, Undertaking LA.